Ever since Tarja Turunen‘s departure from the band in 2005, it was hard to believe that Nightwish would ever be the same again without her soprano vocals , especially with the new lead singer Anette Olzon, who quite frankly didn’t fit the part aesthetically or vocally, seemingly better suited as a pop star rather than a symphonic metal queen. After the 2007 album – Dark Passion Play, I was pretty certain that post-Tarja Nightwish was doomed for failure. However, fast-forwarding to 2012, Nightwish have upped their game releasing an album that is absolutely brilliant. I have to admit, that Dark Passion Play was not one of my favourite albums, in fact I hated it, and this was probably to due to the fact that the most recognizable and unique aspect of Nightwish had been extinguished – Tarja Turunen. For me, it was inconceivable for Nightwish to change their lead vocalist and even though Dark Passion Play did exceedingly well, I did not enjoy it, even to this day. To me, Dark Passion Play sounded like the band were doing what they do best, except that they failed to compensate for the fact that Tarja was gone, with the result that the music suffered as it didn’t quite suite Olzon’s voice. However, it’s been five years since Dark Passion Play, and the band have reinvented themselves by creating a concept album that would never have worked with Tarja. Anette Olzon returns with a wonderfully Gothic presence in Imaginaerum (just watch the Storytime vid), an album that is tailor-made to fit her, allowing Olzon to flex her vocal talents in a spectacular fashion. ♫ Where is the wonder, where’s the awe? Where’s dear Alice knocking on the door? Where’s the trapdoor that takes me there? Conclusion | Imaginaerum is without a doubt, Nightwish’s best album to date, everything about it is just so damn good, and the more you listen to it, the more you will like it as the countless hooks present in the album embed themselves into your mind. If like me, you were put off by Dark Passion Play, fear not, because Nightwish has returned in full force with a masterfully-crafted album, brilliant in every aspect. I embrace the post-Tarja Nightwish and highly recommend Imaginaerum to anyone with a love of music and if the deal wasn’t sweet enough already, the limited edition of Imaginaerum features a bonus disk with instrumental versions of all the songs, what more could one want out of an album? Grouplove’s debut album – Never Trust A Happy Song, has been a long time coming, having first heard the single ‘Colours‘ back in 2010 on a website featuring a compilation of up-and-coming indie rock bands, Grouplove was the one that stuck out for me and unfortunately at the time, Colours along with a ‘Captain Cuts‘ remix version (equally good, incorporating a faster tempo) was the only material available at the time, but regardless I had the words – ‘black, black, green and brown, brown, brown, brown and blue, yellow, violets, red…‘ lodged in my brain for ages. So the big question is – how does the rest of the album compare to Colours? Well, while Colours remains to be the best song on the album, the other songs aren’t bad at all with lead singer Christian Zucconi’s distinct voice shining through on every track and accentuated with backing vocals by the sweet canary-voiced Hannah Hooper. Colours has been featured on EA Sport’s Madden NFL 12 and FIFA 12 soundtracks, as well as a Polish beer advertisement. Other notable songs like Tongue Tied featured on Apple’s iPod Touch commercial. On December 8, 2011 Tongue Tied debuted on #78 on the Billboard Hot 100, not surprising as the song is both catchy and upbeat (like the majority of the album). Never Trust A Happy Song is first and foremost a feel-good musical experience (rather ironic given the title of the album), the album’s tempo is fast and seldom diminishes, and even the song Slow picks up rather quickly. Grouplove fits the indie moniker to a tee with an alternative rock sound that opposes the contemporary sounds of popular music. The world would be a happier place if more radio stations played this sort of music (not about to hear this on my local radio) but alas it is not so, so if you’re able to, do yourself a favour and get a copy, in the high probability that the album isn’t available in your local music store, I’m sure iTunes can oblige. Conclusion | Music is subjective, if for instance you have a propensity for the indie genre then odds are you will share my opinion, if not then move on to something else. Grouplove’s Never Trust A Happy Song is a well-crafted, easy to listen to and pleasant musical experience. Furthermore, one can always judge the ability and authenticity of a band by its live performance ability and after listening to Grouplove performing Colours on the Letterman show I am glad to see that Zucconi’s distinct voice is his own and not that of auto-tuning processors. Grouplove is also highly energetic (just follow the Letterman link to see for yourself), and one can clearly see that they’re doing ‘a hundred in a fifty zone’ if I were to put it that way. If grouplove sounds interesting to you then you can check out more from them on their official site, which includes 90 second samples of each song from their debut album as well as photos and music videos. After the critical acclaim of Florence Welch‘s first album – Lungs (2009), Florence and the Machine (stylized as ‘Florence + the Machine’) have released their latest album entitled Ceremonials. Lungs received much praise and exposure – BBC Introducing attributing a large role for the band’s rise to popularity and mainstream success. With Lungs being one of the best-selling albums of 2009 and 2010, it will certainly be a tough act to follow, and rightly so because in my opinion, Ceremonials is inferior to its predecessor. Where Lungs was criticized for lacking cohesion and being ‘all over the place’, I criticize their latest album for being uninspired and tedious. Florence writes her best songs when she’s drunk or has a hangover, because that’s when the freedom, the feral music comes, creating itself wildly from the fragments gathered in her notebooks and in her head. Welch’s voice is beautiful and powerful, shown off nicely in songs like ‘Heartlines’, which wasn’t half bad and has a decent amount of energy to it, I just wish the album was a bit more lively and inventive. I suspect that die-hard Florence fans will disagree with me and that’s fine, this review is after-all an opinion piece, I just wish I could understand why this album has had so much acclaim. Even though critics are saying that Ceremonials is a vast improvement over their previous entry, I believe that Lungs was far better and because of its popularity, the resulting hype and anticipation of the second album has blinded people somewhat. Oftentimes, it takes a while to get into an album and repeat listening may be required until the hooks of the songs start dancing around one’s head, unfortunately after listening to this album three or four times now, it just doesn’t seem to do anything for me with the exception of ‘Remain Nameless‘, a beautifully constructed song and ironically a bonus track. On a positive note, there’s no denying that a lot of time and effort has gone into Ceremonials, with twelve songs making up the main album and an additional eight tracks on the bonus disc (from the deluxe version) putting the running time at almost one-and-a-half hours. Overall, even after repeated playing, I found Ceremonials to be uninspired and for the most part disappointing. I love Welch’s voice, it’s gothic and oftentimes quite haunting, I just feel that her vocal prowess has been wasted with this latest album. I can only hope that her next album will be more like the first, allowing her to flex her vocal talents with something unique and funky as opposed to ‘cohesive’ and unitary. I’m not quite sure what it is, but there’s definitely something enticing about the indie rock scene, perhaps it’s the underground, garage band vibe or the ‘do-it-yourself’ approach that comes with developing such music, regardless of the reason, indie rock certainly has a more personal and heartfelt feel to it than its brethren and perhaps that’s where the attraction lies. After the release of their single ‘Death Cloud‘ on November 13, 2008 – Cloud Control started to garner immense popularity and after several festival appearances and tours, the band released their first album – Bliss Release in 2010. Admittedly, it took me a while to get into this band, its sound and style are quite different from what I’m used to listening to, but after playing the album through four or five times, the hooks of the songs dug themselves into my brain giving me a new-found appreciation for how catchy most of these songs truly are. Cloud Control shares a strong similarity to psychedelic bands like the Beatles, with a lot of their songs being up-tempo, feel good and generally mellow. Though the term ‘indie’ doesn’t really refer to independent anymore, as the moment the bands are picked up by a major label (Ivy League Records in Cloud Control’s case) they cease to be independent, ‘indie‘ is now a music genre in its own right having a distinctive sound that people now associate the term with. Indie rock is not as heavy as most other rock genres and focuses more on guitar and vocal melodies. You will also find that bass-lines play a major role in most songs and are often quite pronounced. Cloud Control shares all of the aforementioned attributes and more with catchy guitar riffs, funky drums and creative lyrics. For me, a lead vocalist can either make or break a band, I’m not a fan of guttural screeching and thankfully indie rock is generally devoid of it, Alister Wright’s (lead vocalist) voice is expressive and mellow, and complemented wonderfully with backing vocals from Heidi Lenffer (keyboards) and Jeremy Kelshaw (bass guitar). Songs of note include – Meditation Song #2 (Why, Oh Why), Ghost Story, Gold Canary and my personal favourite, Death Cloud – added to Bliss Release as a bonus track. A reworked version of Death Cloud has been released recently and while I do prefer the original, this new version has a certain funkiness to it as well as an awesome, if somewhat odd music video. Much like Scotland, there is an emerging indie rock scene coming out of Australia, and I highly recommend that fans of the genre keep a watchful eye on Cloud Control as they are definitely going places. Having won several awards and opening for superstar bands like Foo Fighters, it’s only a matter of time before Cloud Control reaches super-stardom themselves. While I’m not too certain of the global availability of Bliss Release (I don’t expect to see it in any of my local music stores), if the band strikes your fancy, it can be bought off of iTunes here for $16.99 (about R135). If you’re looking for something funky and chilled, you need not look further than Bliss Release. One of the most anticipated alternative rock albums of the year – Any Man in America, has finally been released. Blue October’s ‘Any Man In America’ is the band’s sixth studio album and perhaps one of the most anticipated albums of the year and for good reason as it’s a brutally honest masterpiece about heartbreak and healing as told over thirteen songs in the band’s traditional, alternative style. The distinct honesty of Justin Furstenfeld and his raspy voice are as evident as ever as Any Man in America primarily focuses on his divorce and custody battle over his daughter, a battle he has seemingly lost given the content of the songs, it was also made apparent before the album’s release with the single – The Feel Again (Stay) on YouTube, the music video focusing almost exclusively on Furstenfeld’s face with the pain and anguish of loss evident in his features. Due to the song’s overwhelmingly positive feedback, the song was released on iTunes five days later. Blue October front-man, Justin Furstenfeld (born – December 14, 1975 in Houston, Texas) is also an author, having released his first book; Crazy Making – The Words and Lyrics of Justin Furstenfeld in April 2009, the book details the thoughts and inspiration behind each of the Blue October songs, on a side note, he has also written over 500 songs. Furstenfeld is also an artist, with two of his paintings being used as covers for the Blue October albums; The Answers and History for Sale. The cover art of Any Man in America is a drawing of Justin Furstenfeld by album producer Tim Palmer’s (then) three-year old daughter, Bluebell. Furstenfeld is also a long-time sufferer of bipolar disorder but has publicly stated in an interview that he has the condition under control. To break down Any Man In America – it is a thirteen-track album, detailing Furstenfeld’s thoughts and feelings of an extremely difficult time in his life, divorce, custody battle and so forth and it is done so in the alternative rock/experimental style that fans have been accustomed to over the years. Furstenfeld’s control over his voice is worth noting as he changes pitch and tone on several occasions throughout the album to better suit certain songs (like Worry List) but sometimes he just lets it all out with heartfelt shouts such as can be heard in The Feel Again (Stay). Very impressive indeed. It is also worth noting that the album is rather long, running for just over an hour though it is obviously necessary as Furstenfeld has a lot to say. The overall musical style is also quite diverse, while the band is primarily an alternative rock outfit, there are many non-rock components added to the songs that create the unique style that has made the band so distinctive and successful. 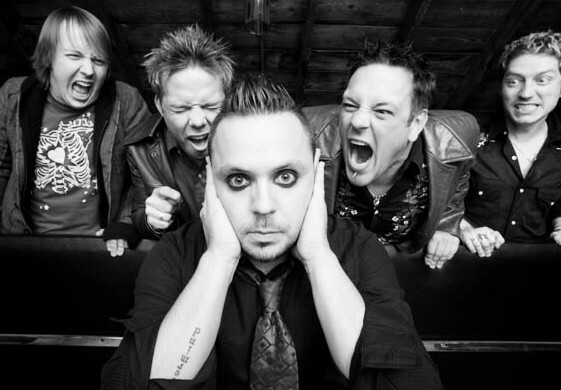 Blue October front-man, Justin Furstenfeld (centre). In conclusion, I cannot think of anything negative to say about Any Man in America, it is a wonderful and impressive addition to the band’s repertoire, and after listening to this album ten times over (I’m guesstimating here), I can honestly say that it only gets better with repeated listening. Blue October’s latest edition will not disappoint though if you are expecting a string of upbeat tunes look elsewhere, those familiar with the band know this. Any Man in America is an extremely personal and heartfelt work and something I think a lot of people will be able to associate with. Any Man in America will make you fall in love with this band from the get-go, and if not, well then…what’s the matter with you? Highly recommended. Frightened Rabbit definitely falls under the category of ‘lesser-known’ indie rock, and there is a distinct lack of information about this band probably due the lack of exposure and marketing. Right from the onset, it is clear that this band is not exactly what the masses are accustomed to as Frightened Rabbit brings something new, something mellow and something awesome to the indie rock scene. The first major record label that Frightened Rabbit was assigned to. a sufficient amount of fans and followers. 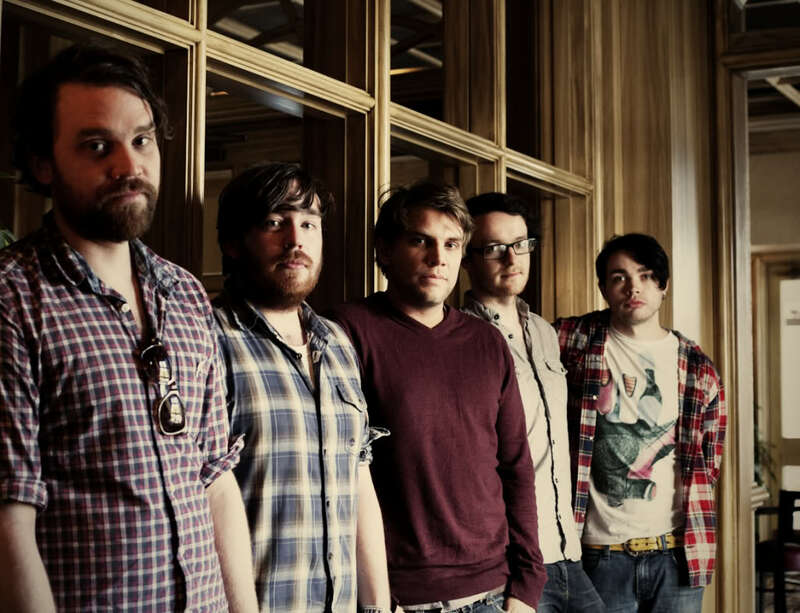 As it stands, Frightened Rabbit is now a five-piece consisting of; Scott Hutchison (lead vocals, rhythm guitar), his brother Grant Hutchison (drums, percussion, backing vocals), Billy Kennedy (lead guitar, bass guitar, backing vocals, keyboards), Andy Monaghan (guitar, keyboards, backing vocals) and Gordon Skene (guitar, keyboards, backing vocals). Frightened Rabbit is of Scottish origin with the band hailing from Selkirk however, since 2004 the band have been based in Glasgow. In May 2006, the band released their first studio album – Sing the Greys through local label, Hits the fan. 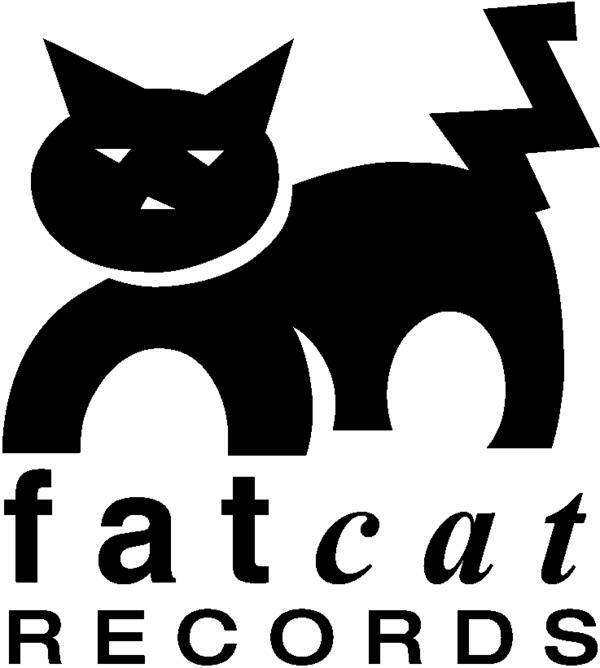 After a short tour in the United States, Fat Cat Records released a remixed/remastered version of Sing the Greys in the United States in October 2007. After the release of their remastered album, the band then hit the USA for their first full tour. Apart from the tour, the band had also recorded their second studio album – Midnight Organ Fight which was later released on April 15, 2008 as well as a live album entitled – Quietly Now! (aka Liver! Lung! FR!) in October that same year. The theme I’m going for is pushing yourself out to the edge of things and being alone, feeling lost and not knowing where you are, which is how I’ve felt recently. It’s not all fun and games, but hopefully it’ll just be less obviously personal and brutal than the last record. Less oppressive. Their third album entitled – The Winter of Mixed Drinks was released March 1, 2010 and has received much praise from critics. Since I was unable to review each album individually here (given that I am relatively new to the band), I can really only gauge this band’s work as a collective, and collectively all of the albums are unique, inspired and well-constructed and will be pleasing to all indie rock aficionados. Scott has a very mellow, laid-back voice and coupled with the backing vocals of his crew, Frightened Rabbit’s sound is unique and extremely relaxing to listen to even though the subject matter of the songs often deal with sorrow, loneliness and so forth . Some notable songs include – The Greys, Go Go Girls, Good Arms Vs. Bad Arms, The Twist, Swim Until You Can’t See Land and The Wrestle. So if you’re looking for a fresh, new sound and enjoy indie rock, do yourself a favour and check out Frightened Rabbit, the band is seriously underrated and with a bit more exposure and marketing they definitely have what it takes to break into the mainstream, and given their indie roots, it’s safe to say that increased success wont affect the quality of their work. Definitely not for everyone however, as a person more accustomed to the likes of In Flames and Rammstein, I found plenty to like here regardless. Highly recommended. My Chemical Romance has been around for a while now, and what started out as an emo band, has slowly been evolving into something more mature and refined, and after the spectacular Black Parade, MCR’s latest album – Danger Days, has turned out to be an impressive piece of work and a breath of fresh air in a saturated market where money and monotony is the order of the day. The band has somehow managed to reinvent themselves to a certain extent, though Gerard Way’s vocals are present, the overall sound of the band has taken a faster, more upbeat direction and with the result have created a fast-paced, thumping album with catchy songs like – ‘Na Na Na’ and ‘Planetary (GO! )’ which will have you humming and singing along in no time at all. To add to it all, Danger Days has something of a plot, revolving around ‘The Fabulous Killjoys’ set in a futuristic Californian backdrop (2019 to be exact). The Killjoys are basically a band of rebels/outlaws who are battling the evil ‘Better Living Industries’ (BL/ind), and follows their misadventures. The overall theme and music videos has a very anime/Tank Girl type feel to it so expect visual absurdity, though awesomeness nonetheless. It’s obvious that much time and effort was taken in developing this album and the presentation and quality of the songs are testament to that. Whether or not die-hard fans will take to the new sound and presentation of Danger Days remains to be seen, however first impressions have been good and globally the album has been well-received, combine that with a new edgy-arachnid logo,and you have a winning formula. Overall, Danger Days is an impressive, confident-sounding album, sure to please fans, both old and new. Highly recommended.